The HP Indigo is a truly remarkable press capable of printing short to medium run, high-resolution, full color primary labels. 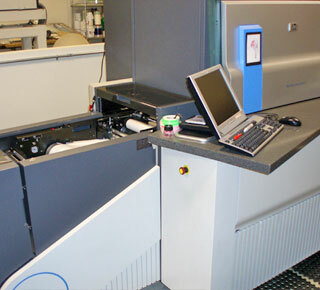 Since the Indigo is digital, it does not require printing plates but can produce parts directly from your graphic files. Combine this with Cellotape’s ability to laser-cut labels, and you have a 100% digital workflow that can go “from art to part” in record time. The ability to produce short run, high quality graphics on a variety of label materials makes the Indigo eminently suited to the production wine, gourmet food, and other consumer product and industrial labels. This makes it possible for you to target niche or regional markets, test market new products, and even personalize your labels.